One of my biggest goals and dreams for the book launch party in May is to get Oprah Winfrey and Bruce Springsteen to submit a "Hope is" video. I am going to start with Oprah and I NEED YOUR HELP! I emailed Oprah already but I am sure my email got lost among thousands of others. BUT WHAT IF HUNDREDS OF US SENT AN EMAIL TO OPRAH WITH THE SAME SUBJECT LINE? Perhaps then we could get her attention? How about if we all try TOMORROW (Tuesday January 27th, when those of us in the Northeast are stuck inside because of the blizzard)??? My [friend/cousin/whatever], Tara Shuman, is collecting videos in which people from all over the world finish the sentence, "Hope is...." Tara underwent cancer treatment at age 32 for an aggressive form of breast cancer and she has now written a memoir called, "Hope is a Good Breakfast" that will be launched at an event to benefit the Jimmy Fund/Dana-Farber Cancer Institute on May 29th in Boston. 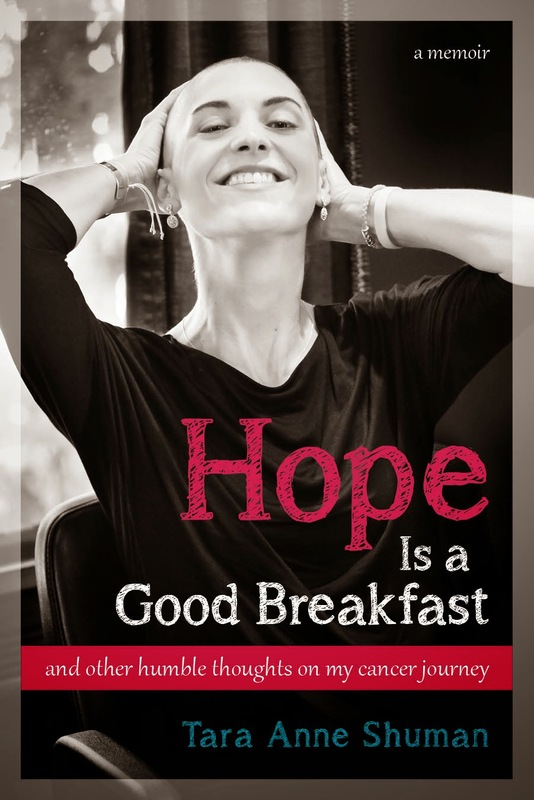 If you could spare a minute to send Tara a video of you explaining your idea of hope in one sentence, she will share it with other cancer patients and their loved ones at the book launch event, and we will all be deeply grateful. You can email the video to Tara at hopeisagoodbreakfast@gmail.com or post it to the Hope is a Good Breakfast Facebook page. THANK YOU ALL SO MUCH for always helping me with my crazy dreams!